Photo Credit: Playa blanca, Isla Barú, Cartagena, Colombia. I'm from Bogotá, Colombia. Currently in Singapore. Passionate about robotics, technology and football. I’m a Research Fellow at Prof. Pham Quang Cuong’s CRI Group, Nanyang Technological University, Singapore. 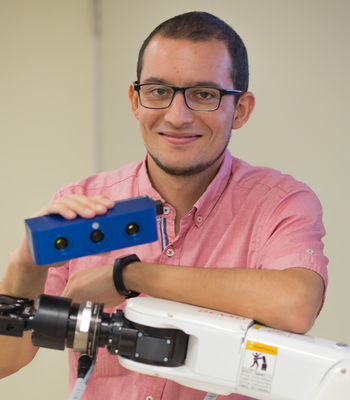 My research interests include include robot arm manipulation, path planning, grasping and computer vision for robotics. Experience with the open source Robot Operating System (ROS), the OpenRAVE environment, the MoveIt motion planning framework, the Gazebo multi-robot simulator, OpenCV, and PCL. C++, Python, Labview and Linux Expert. © 2018 Francisco Suárez-Ruiz. Powered by Jekyll using the Minimal Mistakes theme.